Latin Grammy singer-songwriter, Raquel Sofía is set to release a series of live performance videos off-of her most recent album "2:00 A.M."
The first single from the series is heartfelt-inspired track, "Reina Sin Corona" (Queen Without A Crown), which was exclusively premiered on Spotify Latin Pop VIP on July 27 on #NewMusicFriday. "Reina Sin Corona," captures Raquel Sofía's mix of jazz, pop and the soulful sound that the artist is known for. Her gut-wrenching lyrics and performance will take you to a timeless journey of desolation over an unreciprocated love. Born in Puerto Rico, Raquel Sofía recently moved to CDMX and has been exploring different nuances in her music. Her sophomore studio album "2:00 A.M." was released in January on Sony Music Latin and produced by GRAMMY® and multiple Latin GRAMMY® award winner, George Noriega (Draco Rosa, Gloria Estefan, Maná). The album has produced the hit singles "La Persona Que No Eres", "Sonrisa Vertical","Déjalo Ir" and first single, "Tenemos Historia", which has over 4.0 million streams on Spotify. Recently the artist was invited as a special guest for Alex Ubago and Mario Guerrero's concert at Gran Arena Monticello in Chile. The artist has been performing a sleuth of shows and has received outstanding support during her recent Mexico City concerts, where she opened for Ha*Ash at three sold-out shows at the Auditorio Nacional in Mexico City, two at the Auditorio Citibanamex in Monterrey and one at the Auditorio Telmex in Guadalajara, and also opened for Matisse at the Pepsi Center. 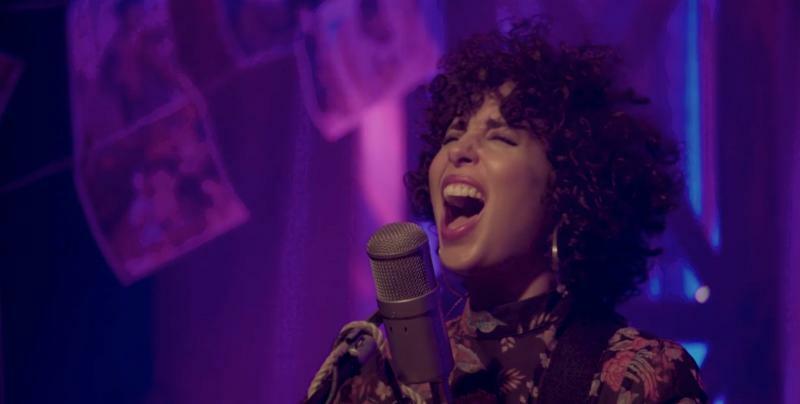 A graduate of University of Miami’s prestigious Frost School of Music, Raquel Sofía worked as a backing vocalist for such greats as Shakira and Juanes before taking time to record her own material. Fluent in Spanish, English, and Portuguese, she launched her solo career as an indie artist and appeared on NPR Music’s Tiny Desk Concert in October 2014. The following year, she released her debut album Te Quiero Los Domingos (I Love You on Sundays), which hit #1 on the iTunes Latino sales chart. Two singles from this album, “Agridulce” (Bittersweet) and “Te Amo Idiota” (I Love You Idiot), have garnered over 8.5 million streams on Spotify. Also in 2015, she wrote and performed for the official Game of Thrones Mixtape. Her arrival as a performer was recognized by the Latin Recording Academy® with her nomination for Best New Artist at the 2015 Latin GRAMMYs®, ceremony where she performed for the first time. In 2016, she served as a guest vocalist on two songs released by Levee Walkers, a supergroup comprising members of Pearl Jam, Guns ‘N’ Roses and Screaming Trees. In July 2017 Raquel Sofía released her first single,“Sonrisa Vertical”, from her sophomore album. The second single, “La Persona Que No Eres,” was launched in August 2017, a song that was inspired by the unique sounds and style of the 1950’s. She followed up with her nostalgic ballad “Déjalo Ir” in October. In early November she released her emotional single and video “Tenemos Historia”, that tells the story of how friendships change when one falls in love and things can never be the same. She culminated this with the release of her album 2:00 AM, which was fully released in January of this year. She has been living in Mexico for the past few months, growing her career as a singer-songwriter.